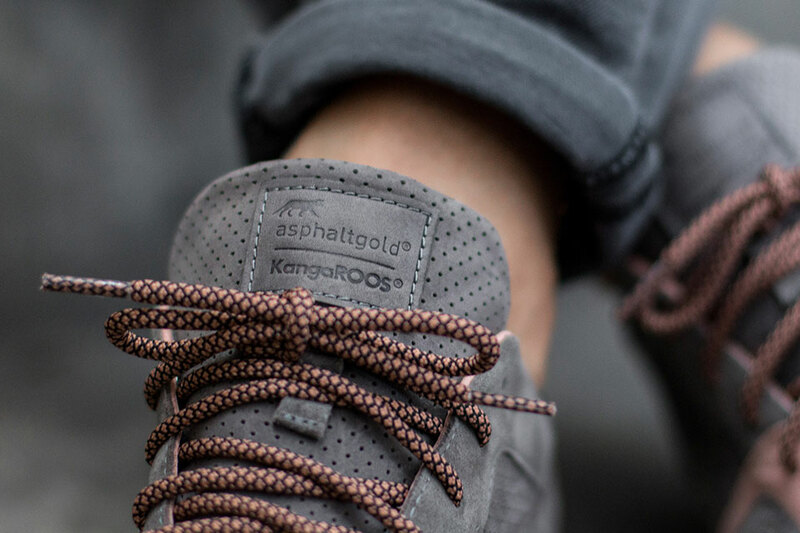 Germany’s asphaltgold is back with part two of its “Katz & Mouse” pack, introducing the “Mouse” alongside KangaROOS. 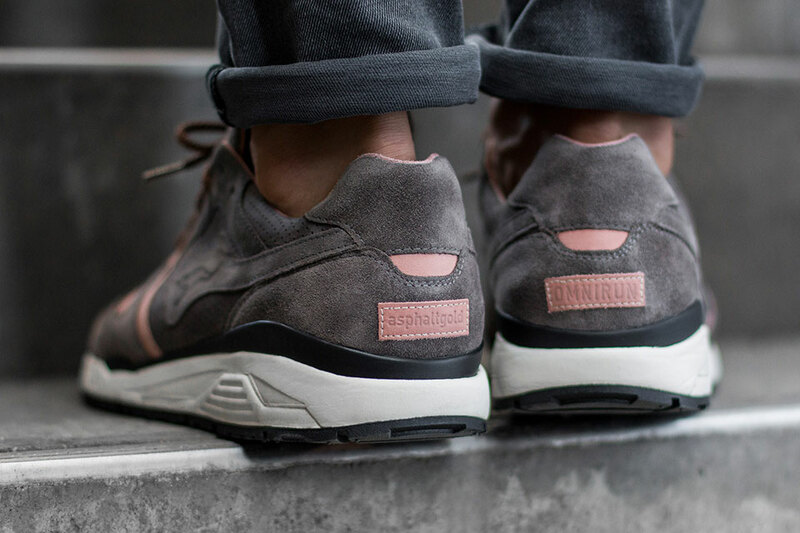 After the ‘Katz’ Omnirun was launched at the beginning of April, the German store now releases the natural counterpart to this cat-inspired shoe. 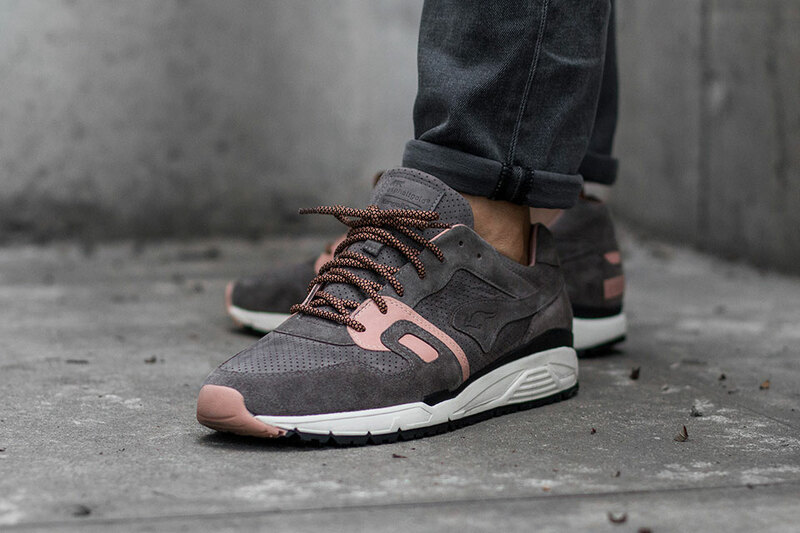 The MOUSE is a hybrid that fuses the Omnicoil-Upper to the soles of two sneakers from KangaROOS’ previous models: the Future and the Ultimate. 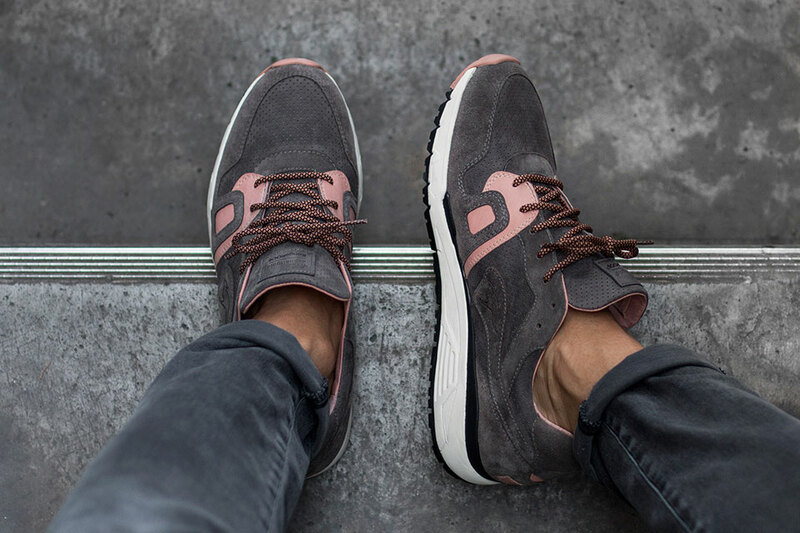 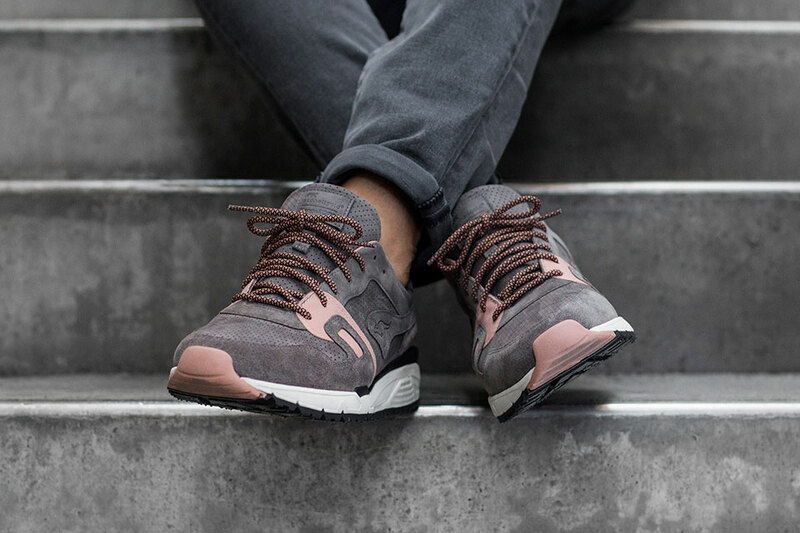 Beautifully soft suede is paired with perforated Nubuck and rose coloured details, while smooth calf leather was used on the insoles and lining. 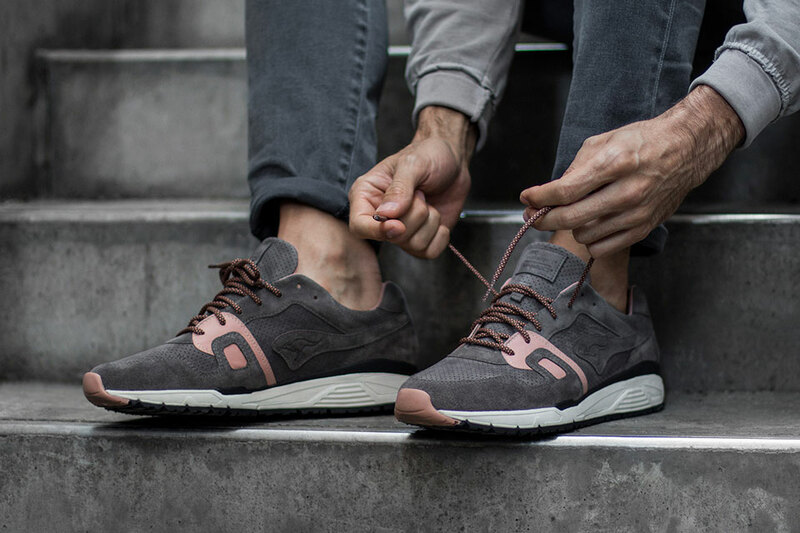 The resulting shoe dubbed the Omnirun features construction of a rosy hue decorates the leather accents, laces and outsole. 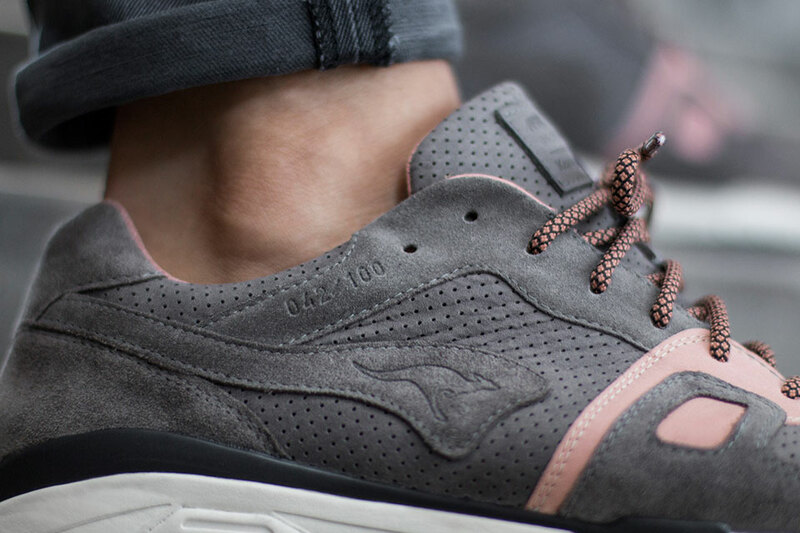 Individually numbered and limited to just 100 units, the co-branded “Mouse” edition of the Omnirun is due out May 7.